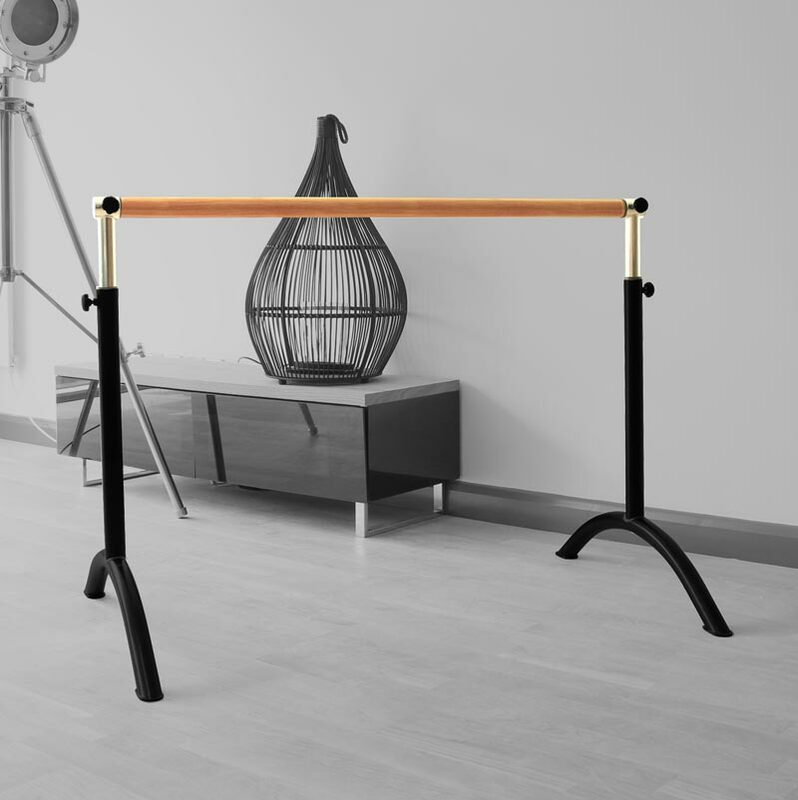 A multi adjustable polished steel Apollo Freestanding Adjustable Ballet Barre ideal for home, studio, school, gym etc. Fully adjustable with easy turn tightening grips from 70cm to 110cm high which makes it ideal for all ages. Barre workouts have become very popular in recent years, studio classes use a combination of postures inspired by ballet and other disciplines such as yoga and pilates. The barre is simply used as a prop for balance while doing exercises that isolate isometric strength training (holding your body still while you contract a specific set of muscles) combines with high reps of small range of motion movements. 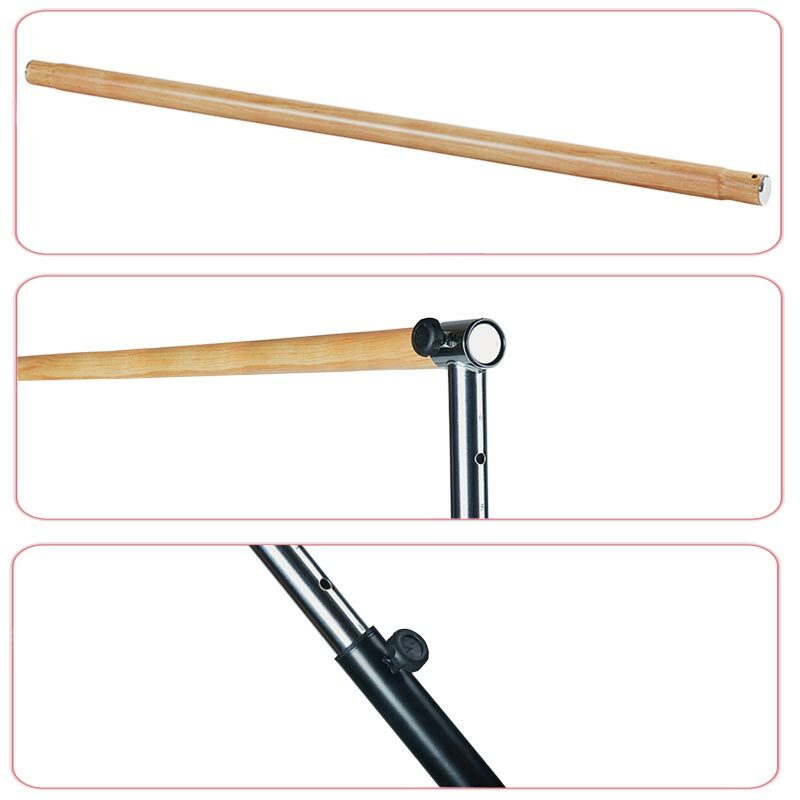 Ballet Barres are also used by British Gymnastics and coaches, for warm up exercises. 6 Height adjustable between 70 and 110cm. Suitable for home, studio, school, gym. 2 x T shaped tubes. All screws, caps and pads. great product with easy instructions to assemble. a very happy student in ballet . Baller Barre was easy to assemble and fairly sturdy. Just a shame I ordered for Christmas before black Friday as it was reduced by £15 & a free gift thrown in which my daughter would have liked. Great my daughter loved it, sets up quickly and stores away nicely. Great value for your money. So pleased to have found this ballet barre, last minute present for my 12 year old daughter. Exceptional value, great quality and brilliant customer service and delivery. Thank you Newitts! Fast delivery. Daughter loves it. Have found that the uprights do seem a little loose though no matter how often are tightened. Doesn't affect the stability of the barre though. Great purchase. This is a good quality sturdy bar. Bought for our 11 year old. It is adjustable so would suit younger child up to adult. Perfect for ballet practice at home. Well worth the money! 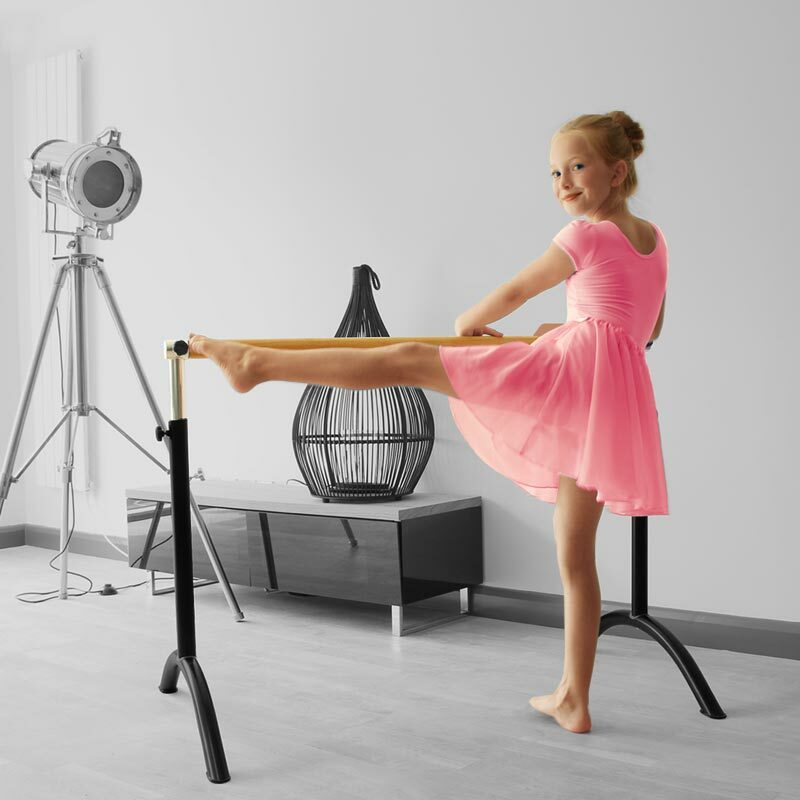 Ideal for both adults and children, this barre is sturdy but not too heavy to move around. Very easy to set up. Easy to assemble. Sturdy. Adjustable as she grows. 5 out of 5 Fantastic! Bought this for my 2 granddaughters who are both into ballet in a big way. They liked it and find it very useful. The only negative is, in their words "a bit wobbly but ok once you put your weight on it"
Superb quality, easy to build, delivered in less than 24 hrs. Simply amazing. Speedy delivery, took about 10 mins to put together. Nice and sturdy, solid and looks really good. Excellent value barre. I love how it is height adjustable so will grow with my child. 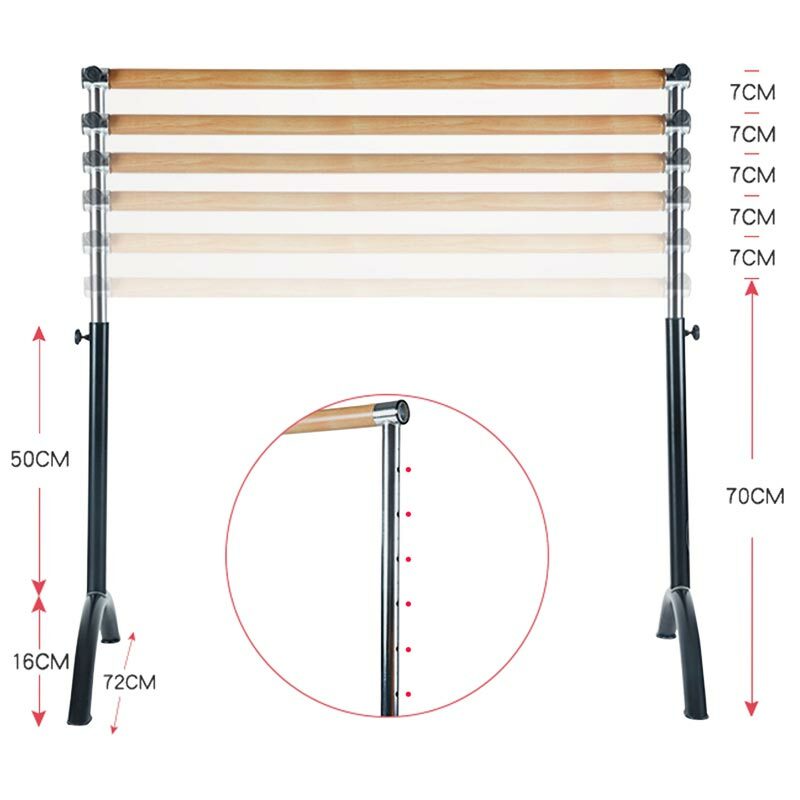 A really practical barre, very light with adjustable height. the size is perfect to practice at home and my friend is buying some for her studio, I just love it!! !